A storm was kicking up. The Namibian desert was morphing from a quiet panorama of dunes and valleys, to a vista alive with motion. 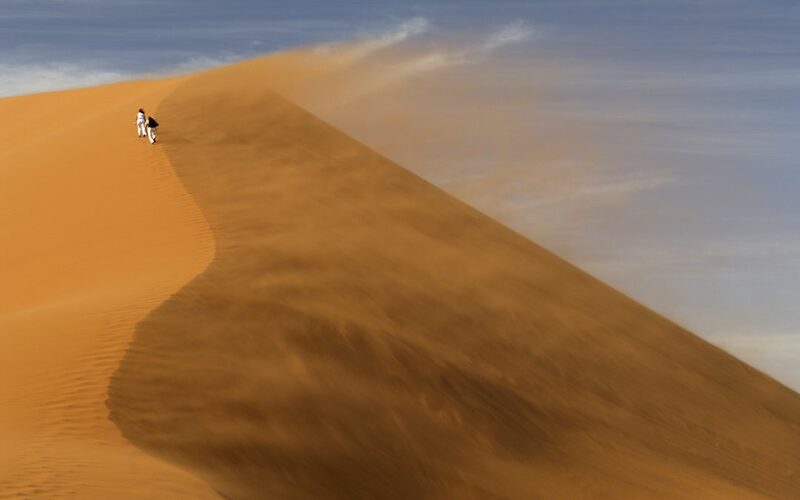 This couple were determine to climb famous Dune 45 not to far from Sossusvlei. I was so thankful to be there and capture the moment, even though I knew this meant an expensive cleaning of my gear once I got home as sand gets in the tiniest crevices of camera gear. Namibia is a peaceful and beautiful part of the planet, I was so grateful to have had that opportunity.